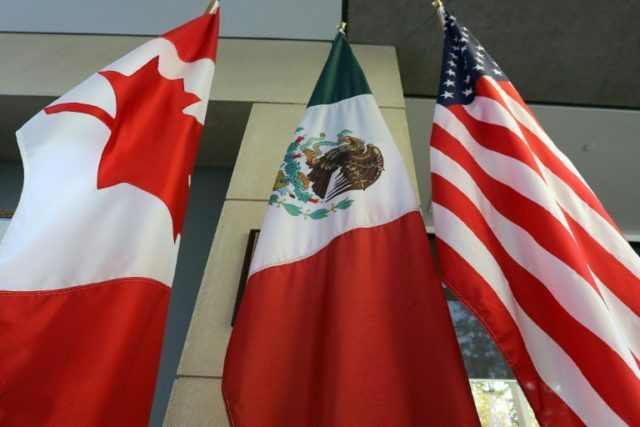 Montreal (AFP) – Negotiators from Canada, Mexico and the United States on Tuesday will kick off the sixth round of talks aimed at revamping the North American Free Trade Agreement (NAFTA) in Montreal. The six days of talks come amid high trade tensions between Ottawa and Washington and as US President Donald Trump insists Mexico will pay for the construction of a controversial wall along the US’s southern border. Outraged by huge anti-dumping and countervailing duties imposed on Canadian aircraft manufacturer Bombardier as well as its primary softwood lumber and newsprint exporters, Ottawa recently filed a complaint with the World Trade Organization alleging widespread trade violations by its neighbor. The government of Prime Minister Justin Trudeau is aiming for a repeat of past adjudications that went Canada’s way to turn the tide against rising US protectionism. In line with his campaign commitment, Trump forced Canada and Mexico to the table to renegotiate the 1994 free trade pact, promising to bring back US manufacturing jobs and update NAFTA for the digital age. Talks to modernize what Canadian Foreign Affairs Minister Chrystia Freeland called “the largest free trade area in the world” were originally scheduled to wrap up by the end of 2017. But the parties have agreed to continue negotiating until March. Despite significant progress on so-called “bread and butter” issues, Freeland said Canada is bracing for “the worst,” including a possible US withdrawal from NAFTA that would effectively mean the end of the tripartite trade pact. Although he failed to mention the upcoming US midterm elections, these must also weigh on mind. In Montreal, trade envoys are due to tackle some 28 outstanding concerns, including thorny issues such as the proportion of US content in passenger vehicles and parts. “I think the concern that a lot of people have is that so little progress have been made and so little effort is being made by the Americans that you worry that they are… just positioning for Trump to be able to say ‘We are out,’” former Conservative leader Rona Ambrose told broadcaster CTV. “When you don’t have a dance partner on the other side, it becomes really difficult,” said Ambrose, who was appointed by Trudeau to Canada’s NAFTA advisory council. A former Conservative industry minister, James Moore, however, struck a more optimistic tone after current Tory leader Andrew Scheer and several MPs returned this week from lobbying Washington decision makers on NAFTA. 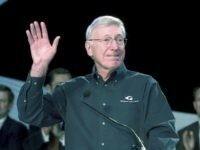 He sees possible trade-offs on access to government procurement and rules of origin for the auto sector, which Trump wants to restrict to better favor the United States. Some 14 million jobs in the United States depend on open trade with Canada and Mexico, and the repeal of NAFTA would result in an immediate loss of more 300,000 American jobs if “NAFTA is torn up,” said Moore, citing the US Chamber of Commerce, which has been pushing Trump not to kill the pact. “The big question is whether the Americans will continue to negotiate beyond the Montreal round or whether they will use a disappointing outcome of those talks as a pretext to initiate the process for withdrawing from the agreement,” commented Louis Belanger, a politics professor at the University of Laval in Quebec. A notice of withdrawal would trigger a six-month countdown to the US exit from the pact. If in Trump’s eyes substantive progress is made in this round of the negotiations, the American president could hold off making any decision on the fate of NAFTA until after the US midterm elections, he said.